Off Topic Lounge Discuss anything you want here folks. A place for computer junkies to boldly post Off Topic... Rant and rave if it is necessary, but just try to keep it clean! Would have been cheaper to move to Canada for a year and use their universal healthcare. I hadn't considered that, but considering how time-sensitive cancer treatments are, I'm not sure that would've been a viable option. Start a go-fund me page and all of Rage will contribute, I know I will. That’s insane. My mother has stage4 breast cancer, lesions on breast, lung, and liver, significantly older, multiple swollen lymph nodes and has never had to stay at the hospital after receiving chemotherapy. That’s really strange. Not sure how to take that one .. The issue is that because treatment needs to start so soon, second opinions are hard to get. Just keep in mind that certain doctors will try to force treatment that they have researched themselves on their patients. Second opinions are always a great idea. Eat this protein bar, for it is of my body. And drink this creatine shake, for it is my blood. Yeah, I've never heard of that either. What the oncologist told us is that they want him to be admitted because of his age and the intensity of the treatment. Apparently it is known to dehydrate and remove electrolytes, so he'll be getting those replaced via his IV. He won't feel well enough to drink enough to replace the salt and magnesium that is going to be lost. Apparently it's fairly common to admit pediatric cancer patients rather than treat them as out-patients. That's what I'm told. All of this is supposedly coming from the Denver oncology board, not from our specific oncologist. Right now I feel like I'm drinking through a fire hose. Way too much information and I'm not absorbing half of it. We have a case worker who is assigned to us, and my wife is on the phone with her almost constantly. I know man, wasn't being serious. Just trying to express how ridiculous I think the costs are. Hang in there. Hopefully everything ends up going smoother than they're appearing to be. Thanks again everyone. You guys are amazing. We're all with you and your family. I remember that feeling. Hopefully the case worker can assist with getting some second opinions as to the best course of treatment. 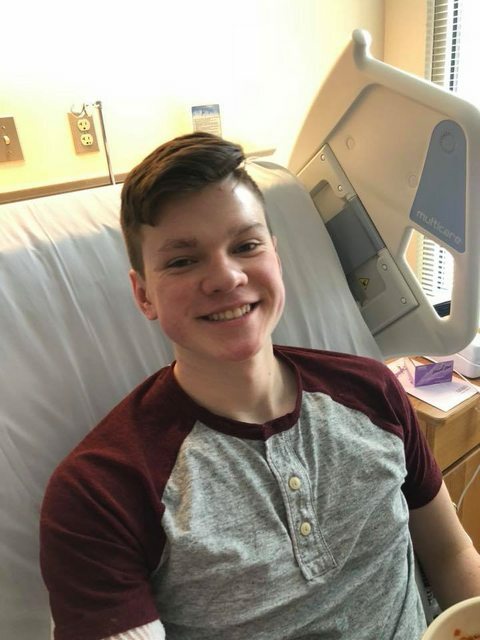 Also note there are clinical trials at various cancer centers around the country that may allow you to get treatment at greatly reduced rates (or free), although considering that your son's situation seems fairly well understood in terms of treatment, it may not be something you want to pursue. "the beatings will continue, until morale improves"
Okay good, as long as you’re in touch with the cancer board and not just the specific doctor. My mom speaks with the Sloan Kettering Cancer Center in NYC about her treatment in order to get different opinions. They recommended an immunotherapy treatment to help her white blood cell count that the doctor didn’t think of apparently. It’s a lot to take in. When my mom was diagnosed it was crushing .. but staying positive is the most important part. He’s going to be positive now, but chemo can go for years .. my mom has been getting it for 2 1/2 years, and she was super positive for about that first year. It gets a lot tougher as it goes on and wears you down. Focus on keeping it positive and not sinking into the “what if” scenarios. Wishing you the best and I truly understand what you’re going through. If you ever want to talk feel free to reach out and send me a message, or if you’d like I can send you my phone#, I’m usually available. Message me if anything. Keeping your son and family in my prayers brotha. OMG, usually this is not a hugely threatening condition. I've known two people who've had this. Best wishes, prayers, positive vibes . . .
Sending my well-wishes for a speedy recovery to your son, Munkus. 17 is hell of an age for things to go wrong, and of all things, a testicle. Ouch. Hope all goes well with the treatment. First day of chemo was well tolerated, as expected. By the end of the day he was exhausted and had a headache, but overall felt OK. 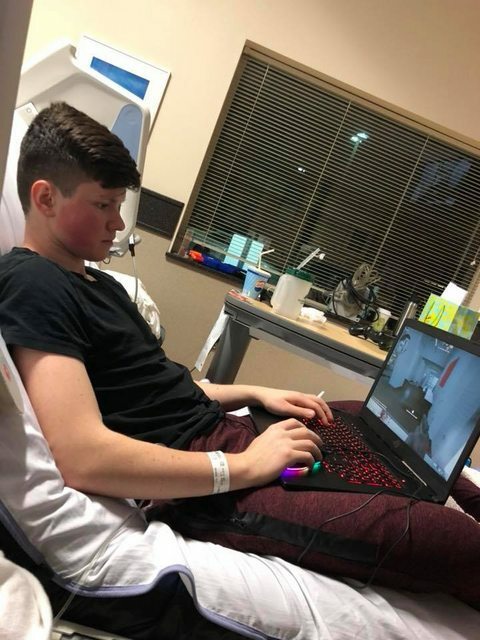 I bought him a ROG laptop from Costco to play games with his friends while he's stuck in bed. It's an i7 with 16Gb RAM, 4Gb 1050Ti, 1Tb HDD + 250Gb SSD, 17" 1080p. Sweet machine, but a bit heavy. He's been needing his own laptop for some time, so now's as good a time as any. What's another $900 compared to the $175K we'll owe after it's all done? Today is going to be consumed by paperwork. I'll be filling out financial aid forms from the hospital, MedicAID, MEDS, and several other institutions I've never heard of but will want $$ from us. Good times. It looks as though your son is hanging in there. He will surely enjoy the laptop. When you said MedicAID, were you referring to Medicaid (government insurance), or another similarly named program? Also, what is MEDS? Yes it's the government insurance program. We won't qualify because our income is too high, but we need to try. I'm not sure what MEDS stands for, but our case worker said it's a program that ignores your income when determining financial assistance approval. We are in the worst possible situation right now. No insurance. Make too much to qualify for most subsidies. Make too little to afford insurance and pay the medical bills out of pocket. It's another sign of how current laws and the healthcare industry are killing the middle class. It's at least worth a try man, I initially thought wtf to trying it a few years ago and once it entered my mouth it was honestly one of the best things I had ever tasted. Does it really matter that much to you? Holy ****. It's almost like some of you want to argue about the most mundane, irrelevant, insensible **** just to argue about something. Yep. It's a national disgrace. He looks awesome! Good call on the laptop, keep him positive as its a big part of the recovery. Back in the 90s when my son was diagnosed it was a completely different world concerning autism than it is today. We went to the best doctors available and tried experimental treatments. Even after having everything pre authorized it was all denied because of one word AUTISM. We found ourselves over one hundred thousand dollars in debt. We lost everything due to bankruptcy. We lived thru it now own our home outright. Made us stronger as a family and showed us what's really important. Munkus if worse comes to worse it's part of a bigger plan. It looks bad but whatever happens with the material possessions it'll work out. I'm praying for you guys and will help financially in any way I can. I think it's time for Rage to show support and help Munkus pay for that laptop for his son. Come on guys, let's all pitch in! Bump. Show some love Rage! Thanks so much acroig. We'll be putting up a GoFundMe soon, so if anyone else is moved to donate they'll be able to do it easily there. Again, thank you everyone for the thoughts, wishes, prayers, and support. Here he is playing PUBG on his laptop yesterday. He's pretty popular with the nurses. Are you and your family in Denver, or is your son being treated at a local hospital? Gotta find him a good lap desk man, he won't be able to have a positive K : D with a setup like that! "Don’t waste your time on jealousy. Sometimes you’re ahead, sometimes you’re behind. The race is long and, in the end, it’s only with yourself." Awesome pic, tell him we're all with him. Good suggestion about the lap desk. A close friend of ours has set up a GoFundMe campaign. I'm not a big fan of asking anyone for anything, but I have to swallow my pride for my son. My wife and I appreciate any donation, no matter how small. If you can't donate, then your words of encouragement and prayers are needed as well. Thanks again for the support, Rage. I actually stumbled upon one of them at our local Staples and found it awesome since most lap desks assume you're going to use the track pad and not an external mouse. Since I've never really used a laptop as a main machine, I find them to me more trouble than they're worth as I fight what I know should be a few clicks vs. the actual effort to do it. That and the little holder above the pad is a perfect holder for a phone. Every day we are bombarded by stories in the media of violence, debauchery, and general douchebaggery by people around the world. It can get pretty depressing if that's all you see. But then I look at the response that people have made to my son's situation. The outpouring of love, kind words, prayers, and donations is overwhelming. It's a good reminder of how awesome people can be. Thank you again, guys. I don't care what KAC says about you, you're the best.